Peaches are my favorite fruit. I love the one in the front--it's just perfect! Looks soft and fuzzy and great color! 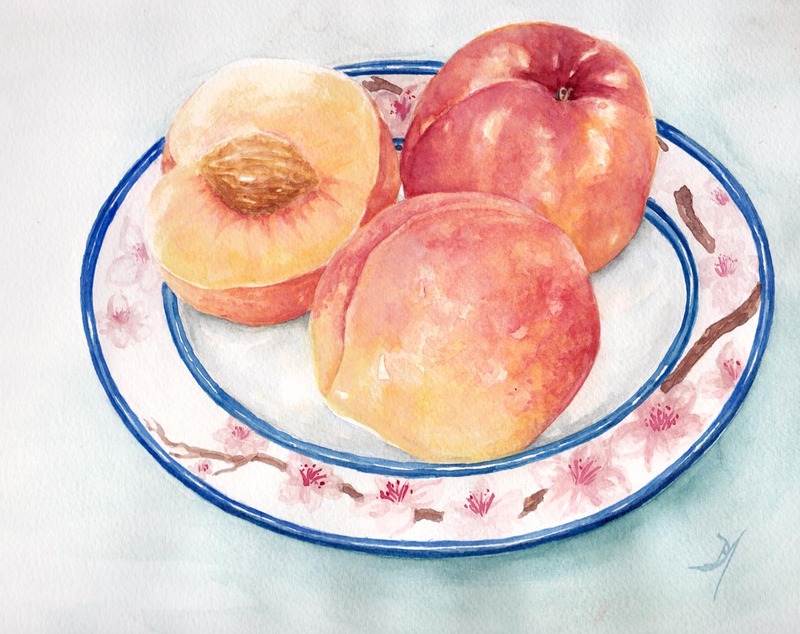 Gorgeous colors on those peaches, they look so inviting and real ! This is beautiful! Right down to the feel of the fuzzy fruit surface!